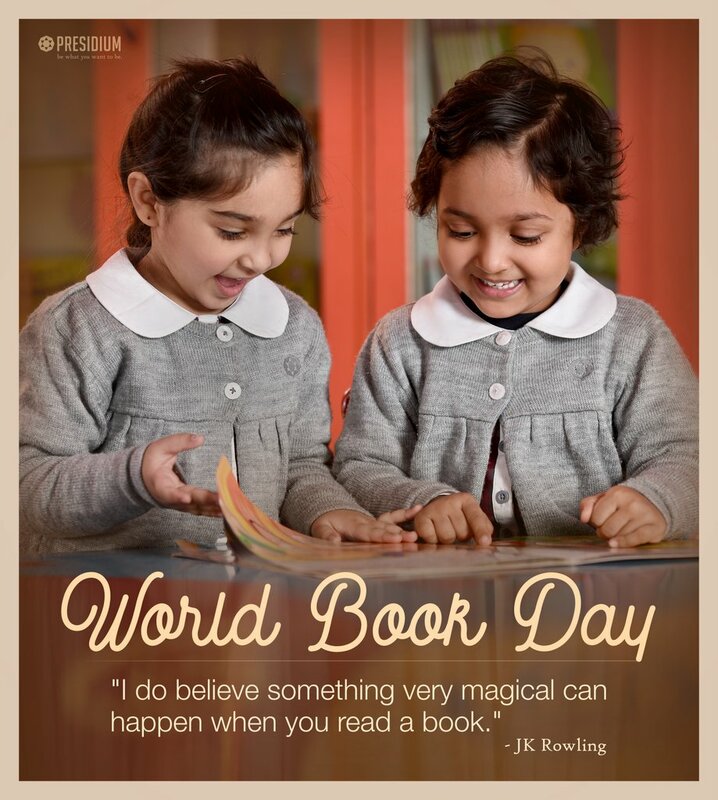 On this thought, a special assembly on the occasion of World Book Day was recently conducted at Presidium. Encouraging the young learners to explore the pleasure of books and reading, the assembly began with a poem, highlighting the significance of books in our lives. Students were then informed about the myriad horizons that habit of reading opens for a child, through an informative speech. Through captivating performances, the leaders of tomorrow left a powerful impact on the audience and encouraged them to grab a book and read!